New Delhi, March 7, 2016 : Designer duo Bharat & Reshma Grover Showcased their new collection in the city at The Nest, also they celebrated 10 years of their label H-2, which was much liked and applauded by people in the audience. 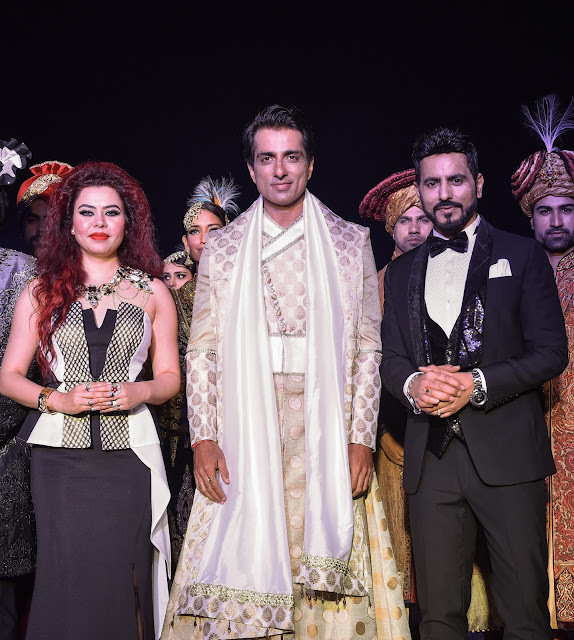 Actor & Model Sonu Sood walked the ramp for Designer Bharat & Reshma Grover and he adorned a look of a groom and looked absolutely suave in the duo’s ensemble. 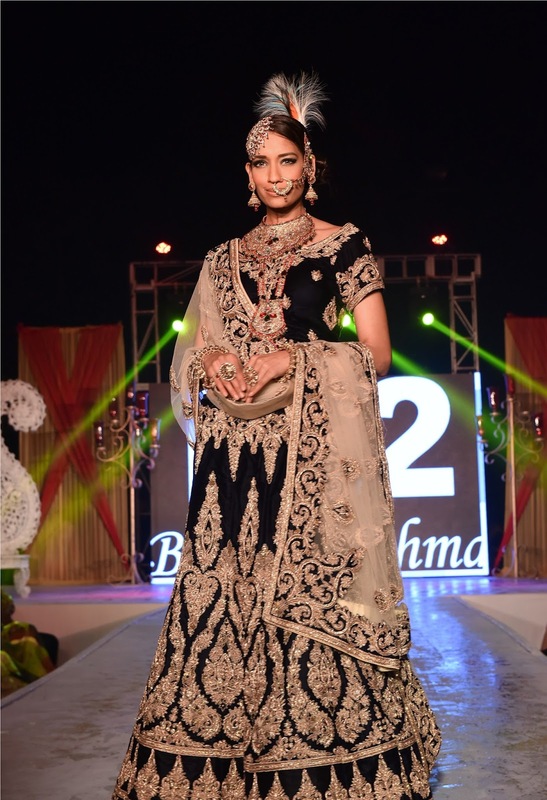 Not only this Model Krishna Somani also stunned the ramp with her Black & Gold Wedding attire. Their Forte being Mens’ wear, the mens outfits were very edgy & a class apart with neat cuts and unique detailing. Sonu Sood their Showstopper was all praises for the duo’s collection.The after party was a glamorous one with the city’s socialites shaking a leg with the duo.